Due to low registration the 4-H Shooting Sports Workshop scheduled for Saturday, June 23, 2018 from 10 a.m. to 2 p.m. at the Lincoln County Sports Club has been cancelled. Watch for information about future opportunities. Interested in Becoming a 4-H Shooting Sports Leader? 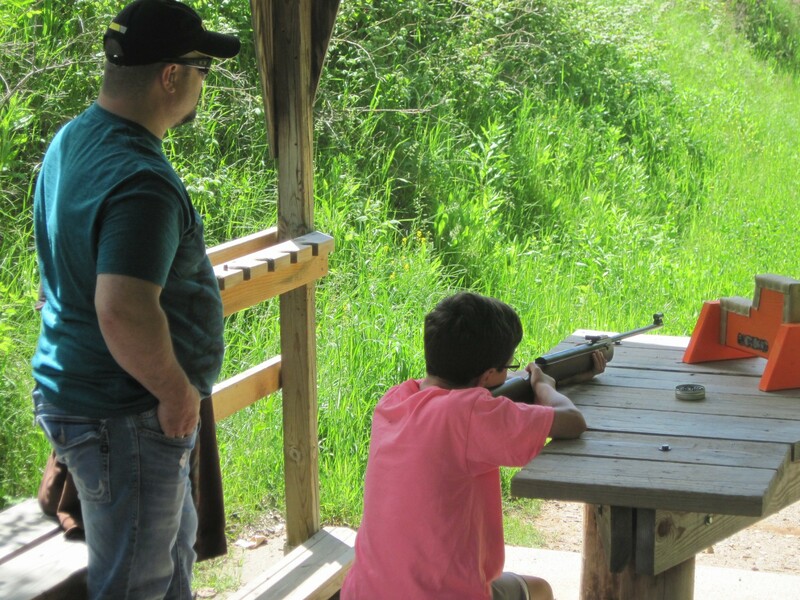 The 4-H Shooting Sports program is only successful when adults volunteer to work with youth in this project and when youth are given the opportunity to develop safe shooting skills and develop a better understanding of wildlife ecology. To serve as a 4-H Shooting Sports Leader, individuals must complete the Youth Protection process, be at least 18 years old and successfully complete at least one state-level 4-H Leader Training SHOOTING SPORTS CERTIFICATION WORKSHOP in the discipline in which they are providing supervision. If an adult leader is not certified, he or she cannot provide hands-on or safety instruction without a certified leader being present. A leader may obtain certification in an additional discipline (archery, pistol [.177 pellet and .22], coordinator, hunting/wildlife ecology, muzzleloading, rifle [.177 pellet,. 177 BB, and .22], and shotgun) by completing a certification workshop provided by 4-H certified state training team members. Please check the following link for dates for future certification workshops: http://fyi.uwex.edu/wi4hshootingsports/certification-workshops/. If you are interested in becoming a 4-H Shooting Sports Leader in Lincoln County, contact Debbie at (715)-539-1077. Funding may be available to cover expenditures to attend training. John Zimmer and Pat Chieves, Lincoln County 4-H Adult Volunteer Leaders who have completed State 4-H Shooting Sports Certification training offered a 4-H Shooting Sports session on Basic Rifle and Position Air Rifle Shooting on Saturday, June 6, 2015. Thank you to the Lincoln County Sports Club for the use of their facilities for this training. John and Pat demonstrate proper handling and safety at beginning of session. 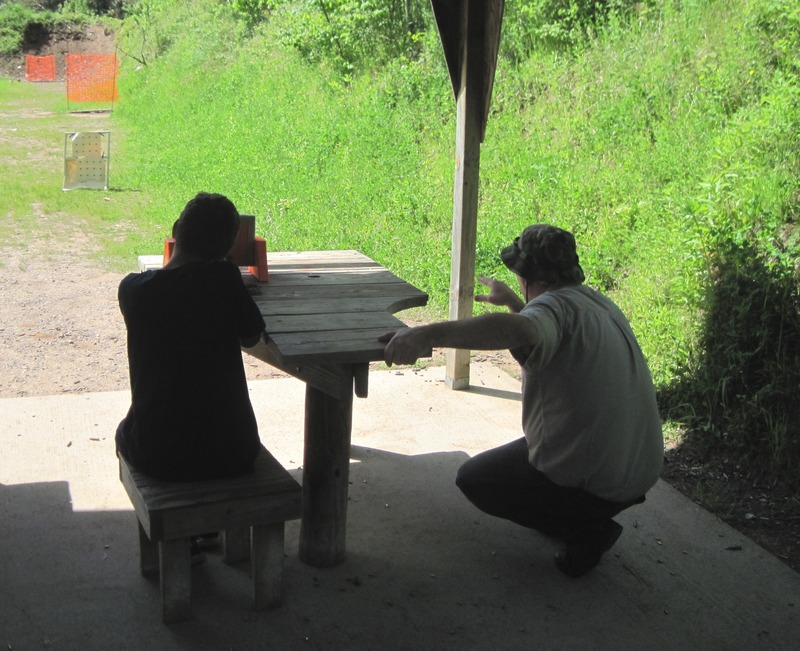 Blake receives instruction from John as he prepares to shoot at the target. Lee shoots at the target while Pat observes. John observes Turner as he shoots at the target. John explains to Sarah how to safely load the air rifle. The 4-H Shooting Sports program is only successful when adults volunteer to work with youth in this project and when youth are given the opportunity to develop safe shooting skills and develop a better understanding of wildlife ecology. To serve as a 4-H Shooting Sports Leader, individuals must complete the Youth Protection process, be at least 18 years old and successfully complete at least one state-level 4-H Leader Training SHOOTING SPORTS CERTIFICATION WORKSHOP in the discipline in which they are providing supervision. If an adult leader is not certified, he or she cannot provide hands-on or safety instruction without a certified leader being present. A leader may obtain certification in an additional discipline (archery, pistol [.177 pellet and .22], coordinator, hunting/wildlife ecology, muzzleloading, rifle [.177 pellet,. 177 BB, and .22], and shotgun) by completing a certification workshop provided by 4-H certified state training team members. 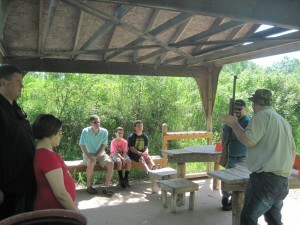 Certification Workshops are not designed to teach volunteers how to use archery equipment or shoot a firearm, but are designed to teach adults how to conduct safe, supervised, shooting experiences for 4-H members enrolled in the project. Therefore, interested adults who have experience in safely handling archery equipment and/or firearms are encouraged to enroll in these certification workshops. 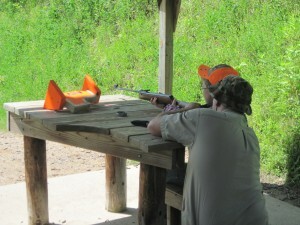 Statewide Shooting Sports Leader Certification workshops are usually held in spring and fall each year. Certification workshops teach leaders how to conduct safe, supervised, shooting experiences for 4-H members enrolled in shooting sports projects. All Shooting Sports leaders must complete a 12-hour workshop to be certified. After that, leaders may be eligible for an eight-hour discipline-only workshop to be certified in another discipline. 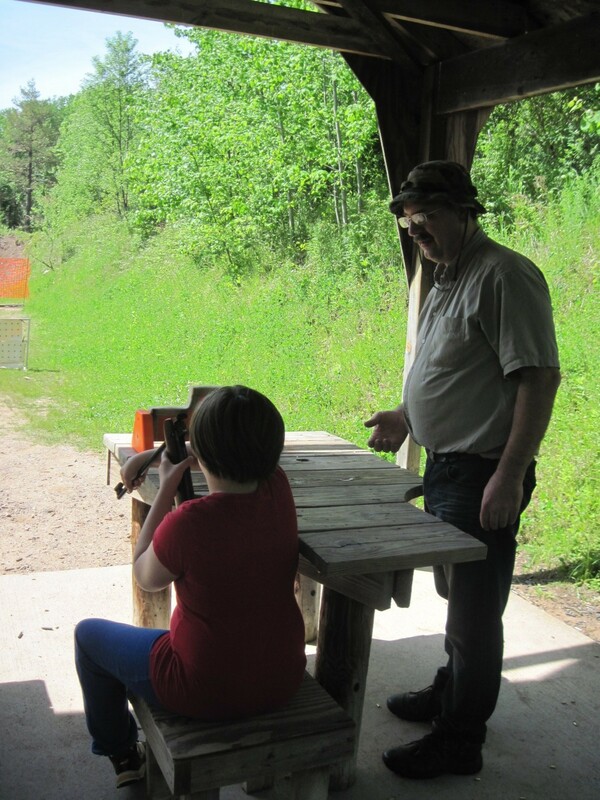 More information about the Statewide Shooting Sports Leader Certification Workshops are available on the Wisconsin 4-H Shooting Sports website. Please contact Debbie at the Lincoln County UW-Extension office if you are interested in becoming a 4-H Shooting Sports Leader in Lincoln County.